Luxury Design Wooden Dog Tag with Name and Telephone number – Nicely Shown by Model Caya from Holland. Many Thanks Sam and Owner Lenka! You want a beautiful id tag for your dog or cat? All our unique id tags are handmade from Spanish olive wood from the "Campo" nearby us. The name and number are nicely and carefully engraved with a laser. For the finishing two layers of strong varnish are used. 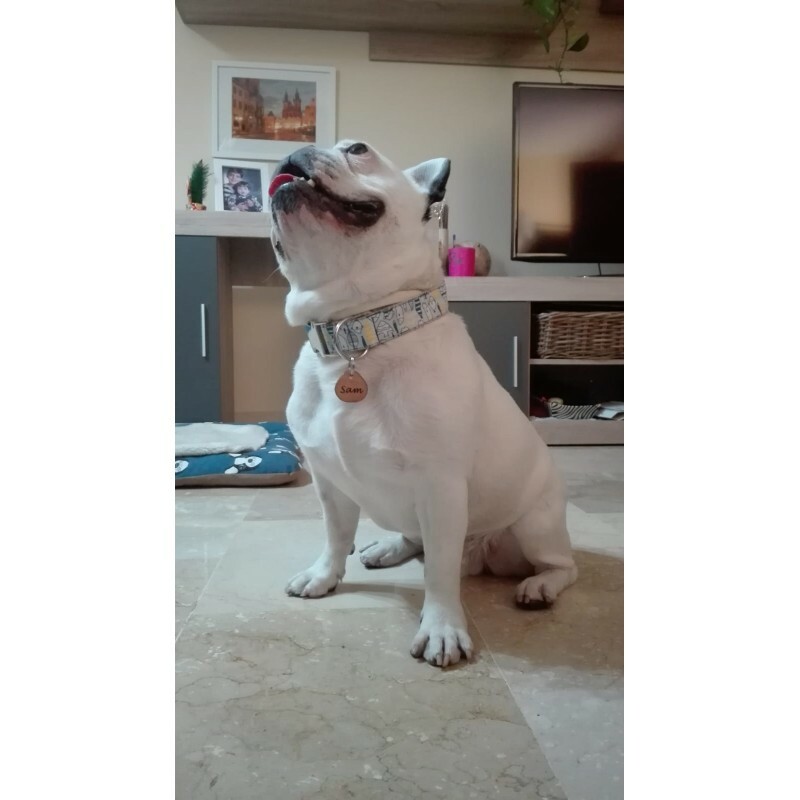 The tags are delivered with and secured to the collar with a double ring of stainless steel (Inox). A unique, natural and light product! - At check-out of your order you can enter your name, phone number, and other comments in an open field. Do you order multiple id tags; then just leave the details per tag.